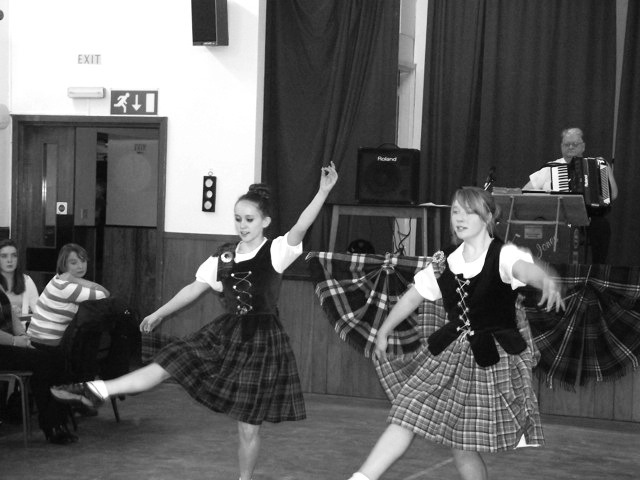 The St. Andrews night ceilidh got off to a great start with a few rousing tunes on the pipes from Matt McCall. 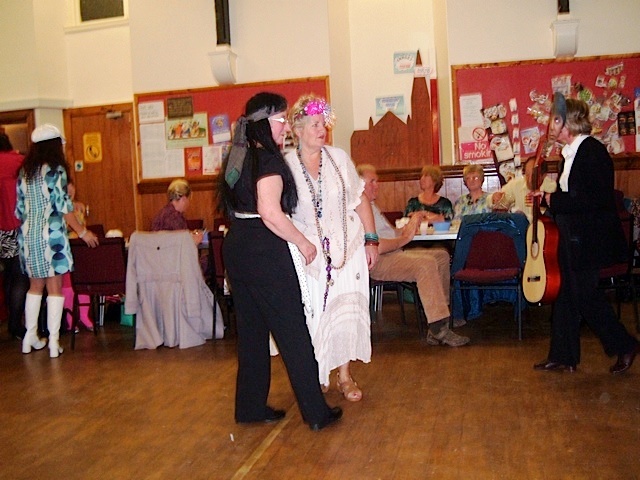 Next we had a selection of well known tunes from our very own accordionist Andy Jones who played for the dancing and singing . 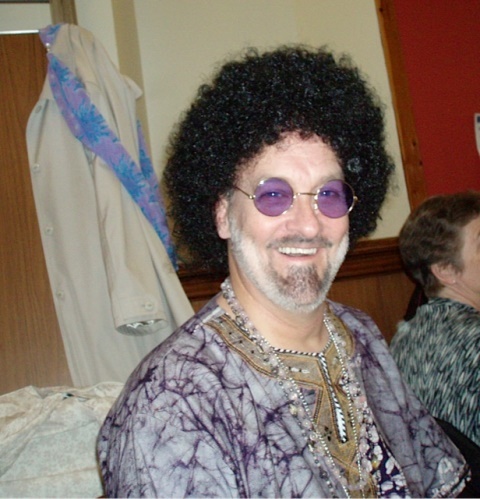 Jim Crawford acted as M.C. 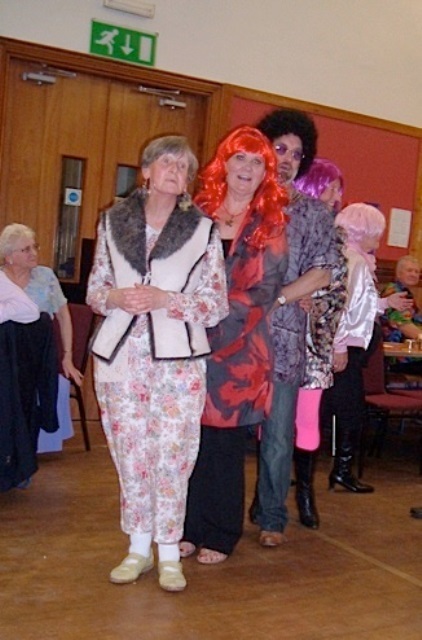 for the evening introducing the dancers and singers. 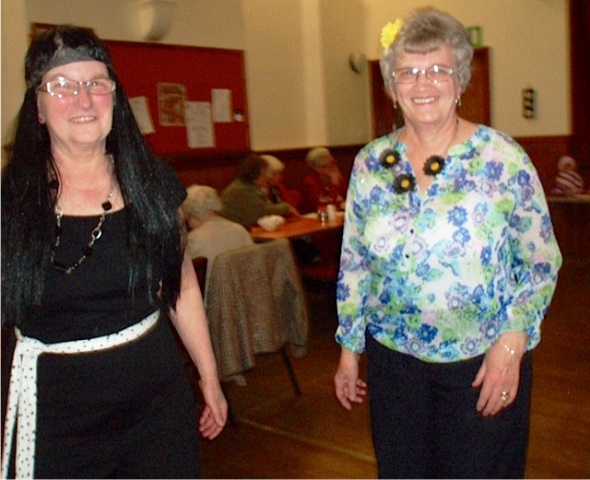 Two of our choir members sang some old Scots songs namely Betty and Mary accompanied on the piano by Kathleen. 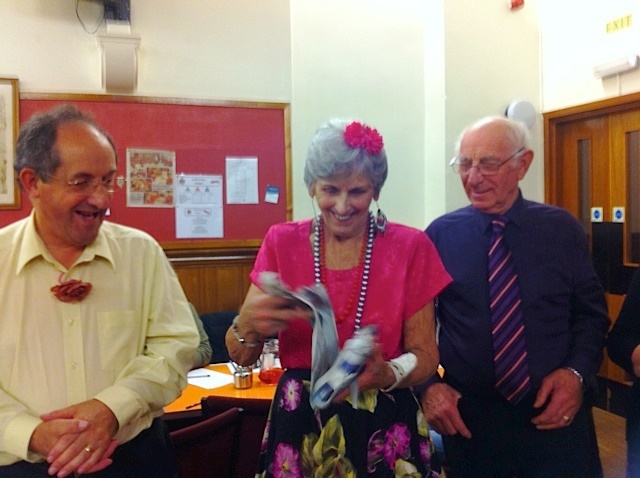 Recitations were also given by Mary which were well received by everyone. 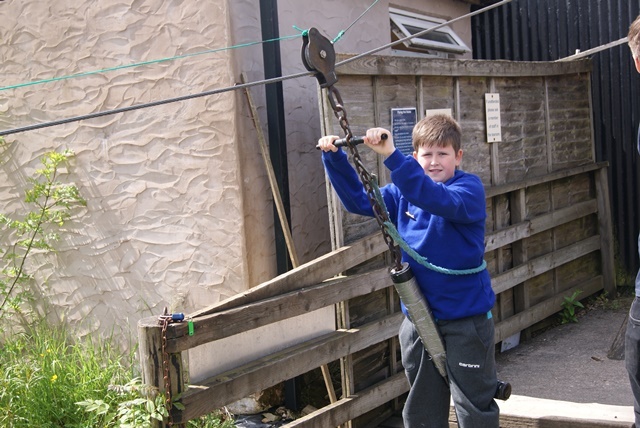 Matt McCall gave us some impromptu singing showing that piping is not his only talent!! 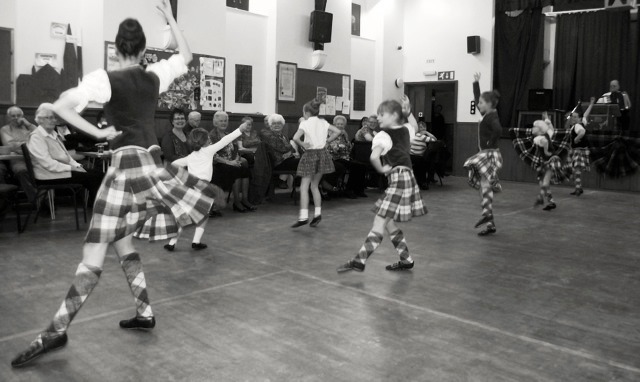 Young dancers from the Aileen Robertson Dance School performed a selection of Highland dances which were enjoyed by everyone. 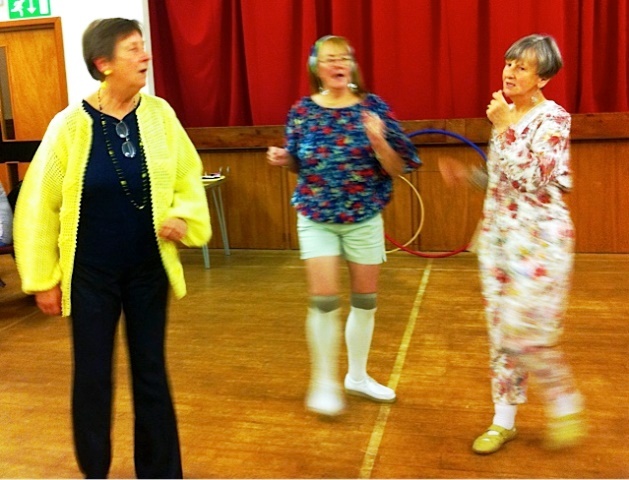 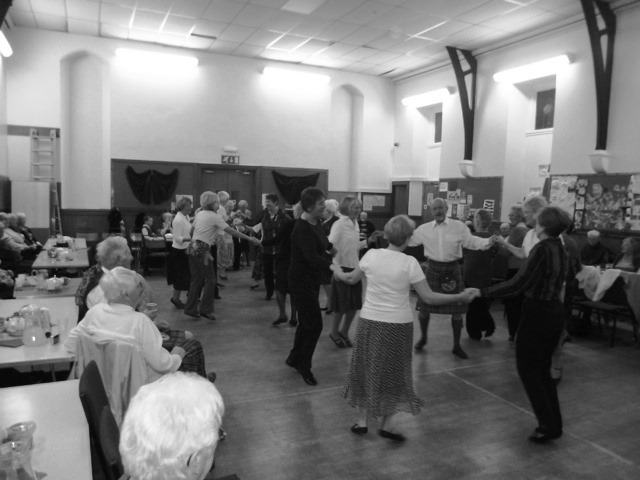 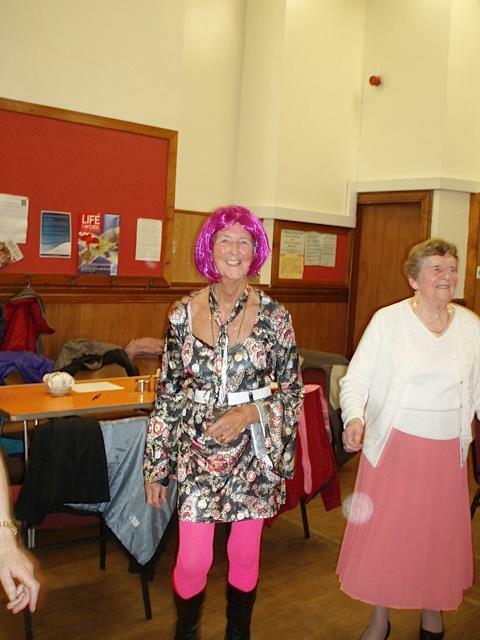 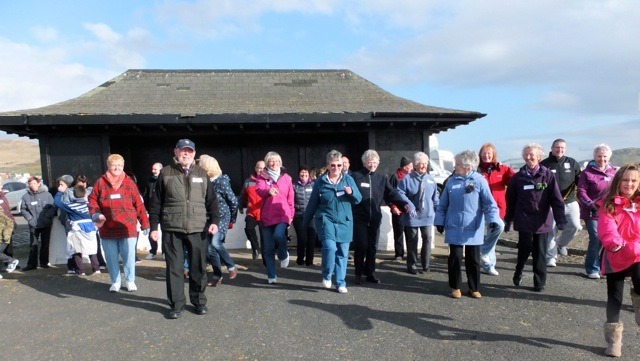 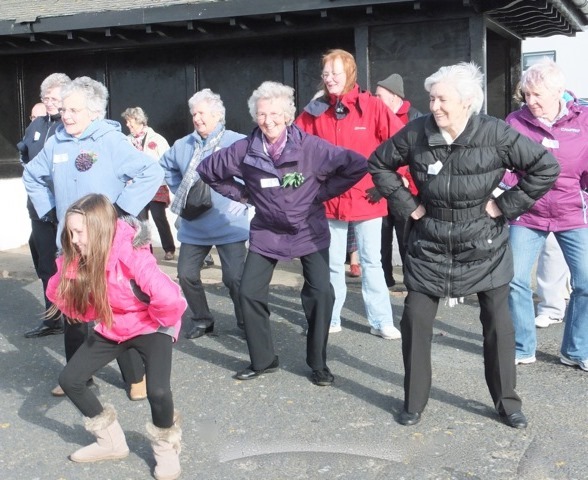 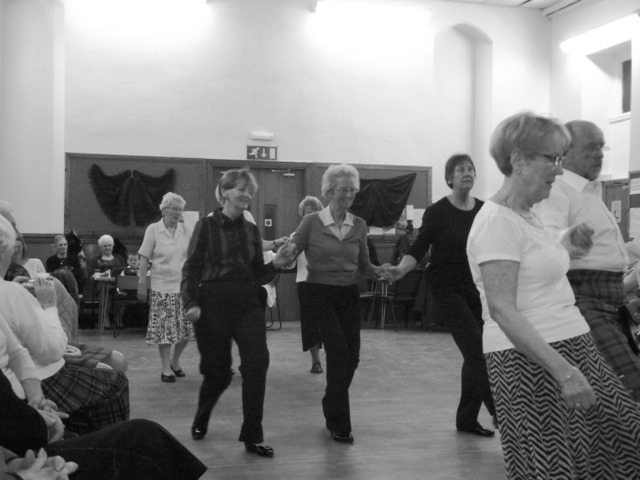 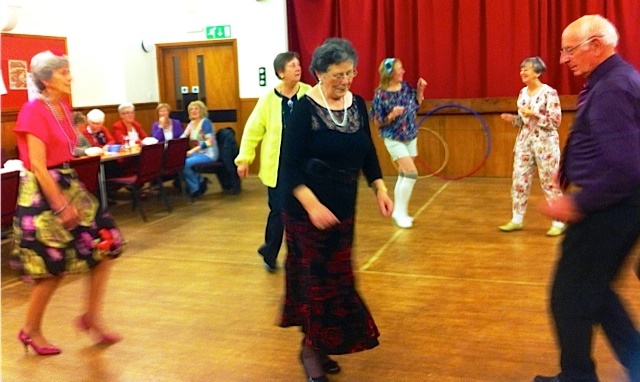 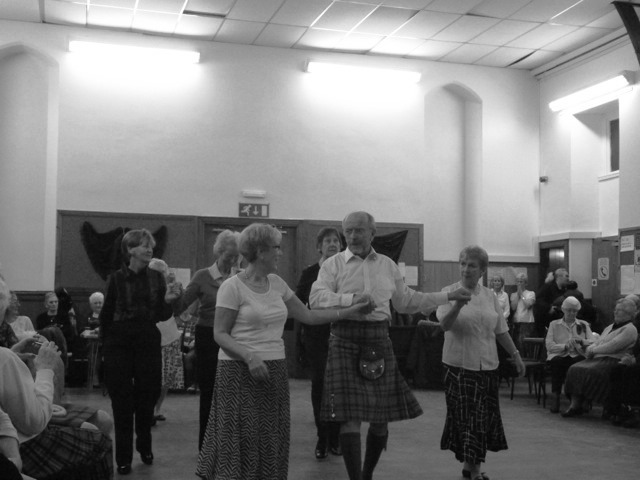 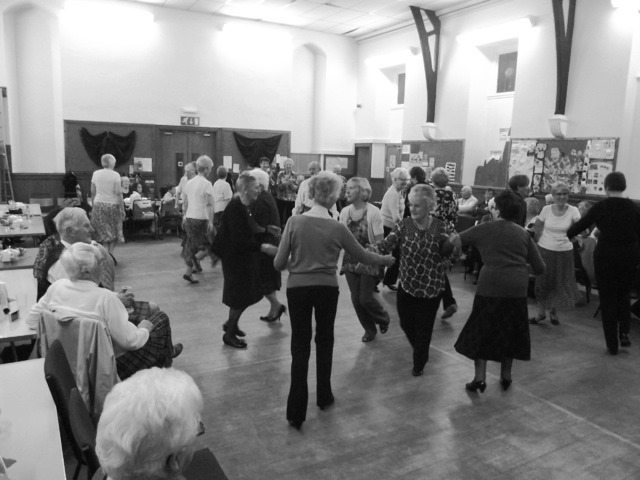 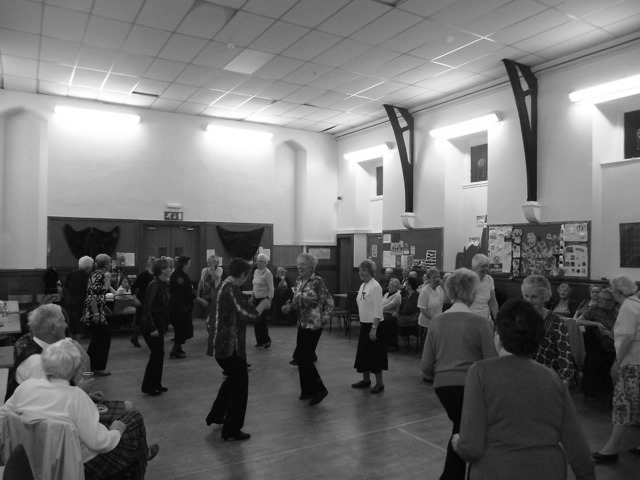 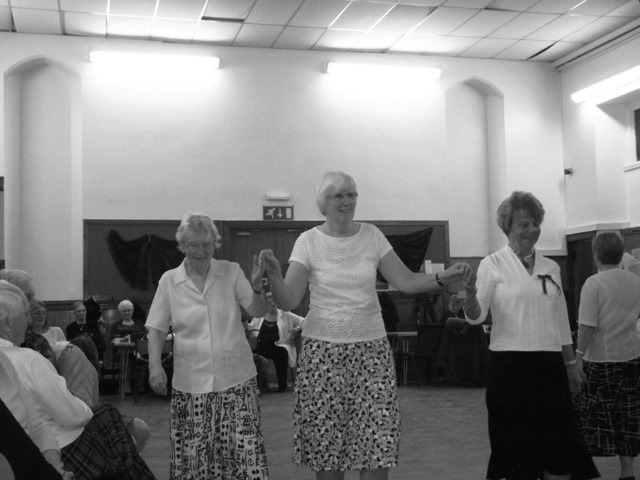 The Girvan Branch of the Scottish Country Dance Society performed a few demonstration dances and also helped to teach a few dances encouraging people to take the floor and join in. 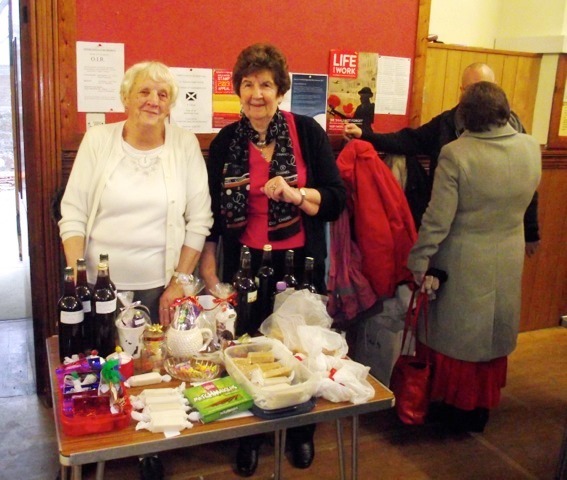 Through the efforts of all the sum of £400 will go to the Church renovation fund. 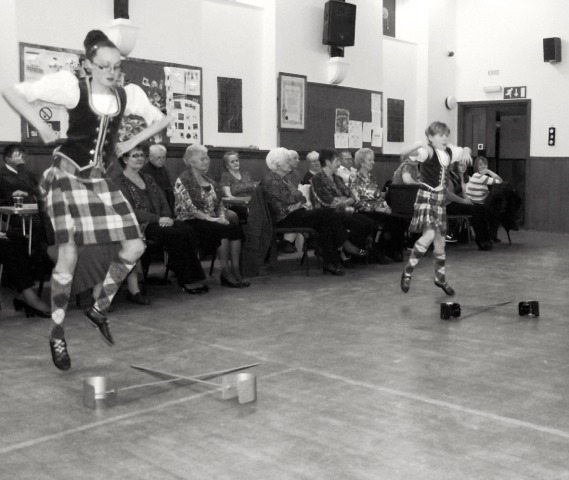 South Ayrshire Divisional Competition held in Newton-on Ayr Church on Saturday 23rd November for the Agnes Burgoyne Trophy. 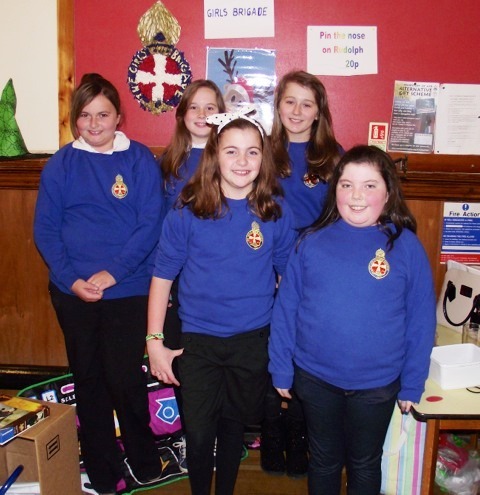 This competition is held annually based on a biblical theme and each year a different section of Girls Brigade competes. 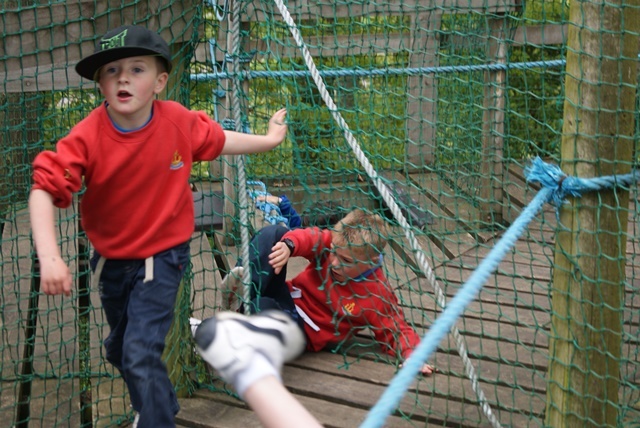 This year the competition was for Explorers. 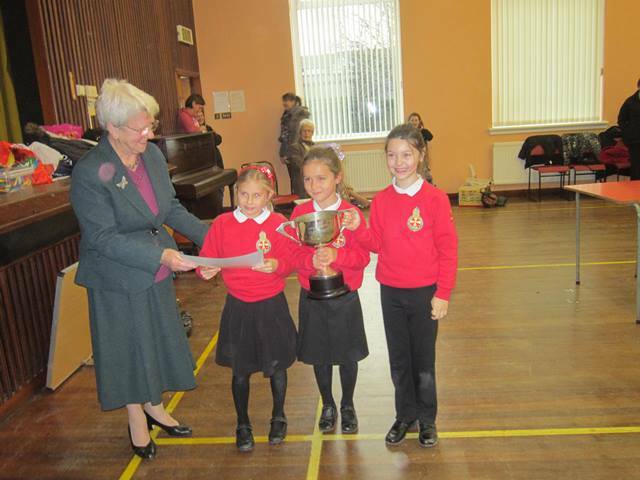 Girvan entered two teams of 3 girls with 8 teams altogether competed. 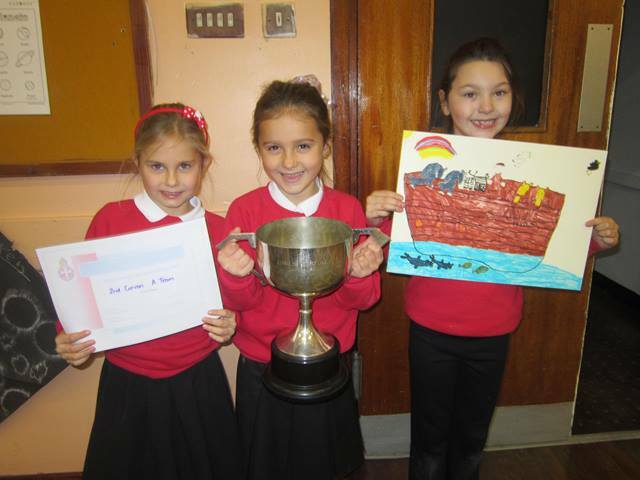 The girls listened to the story of Noah then each team was given a sheet of paper on which to draw and colour a picture of Noah's Ark. 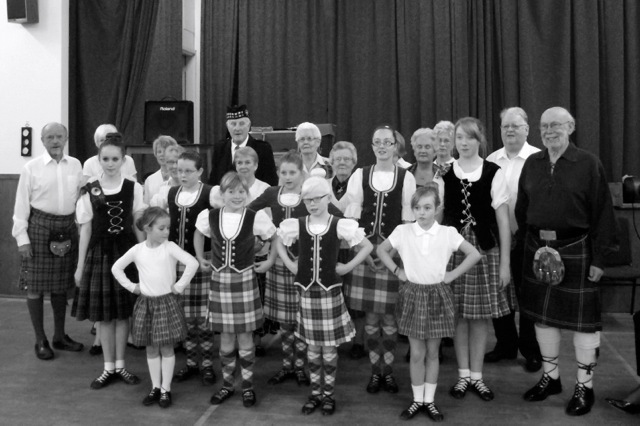 The Agnes Burgoyne Competition has been running since 1975 and was last won by Girvan in 2002. 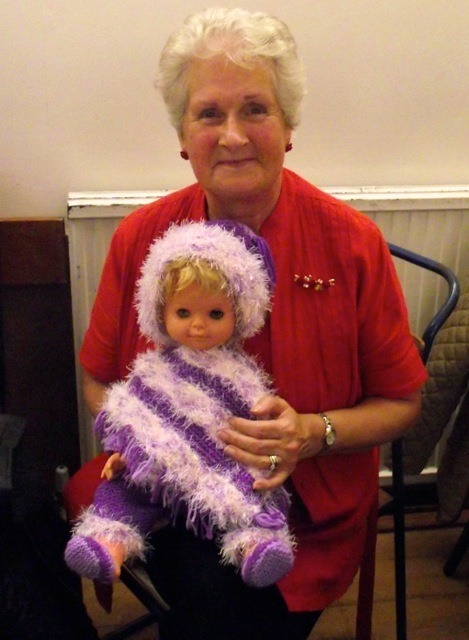 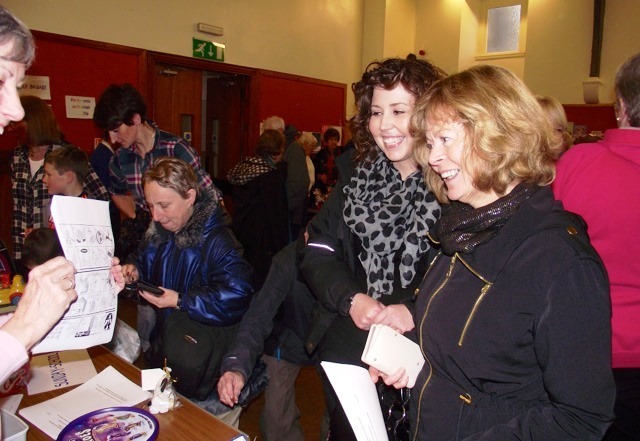 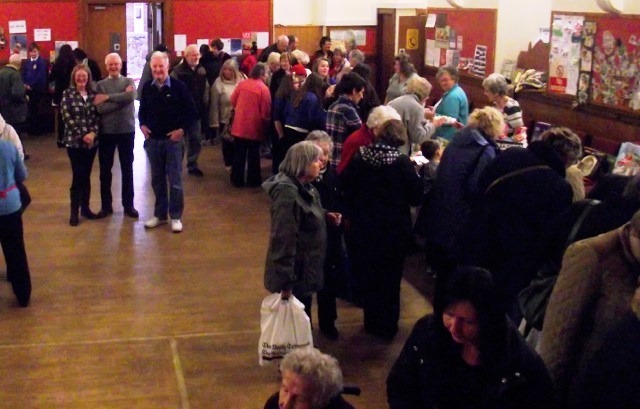 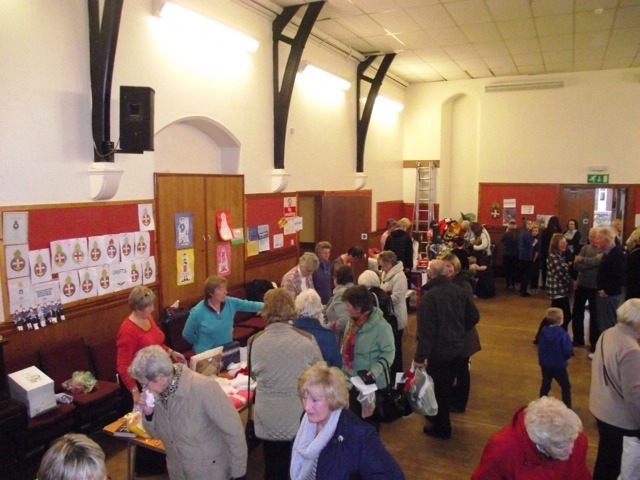 The Christmas Fayre was well attended, and the amazing sum of £2000 was raised. 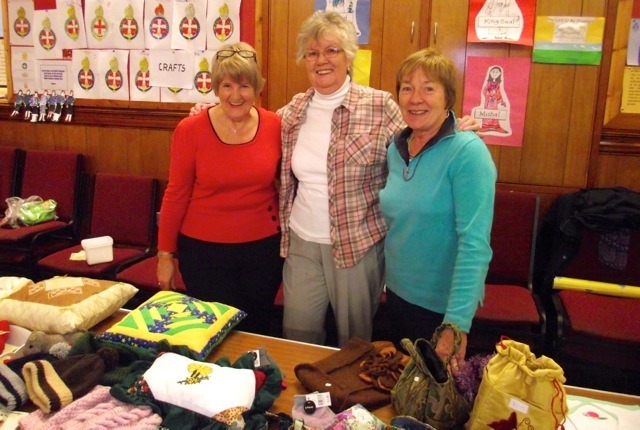 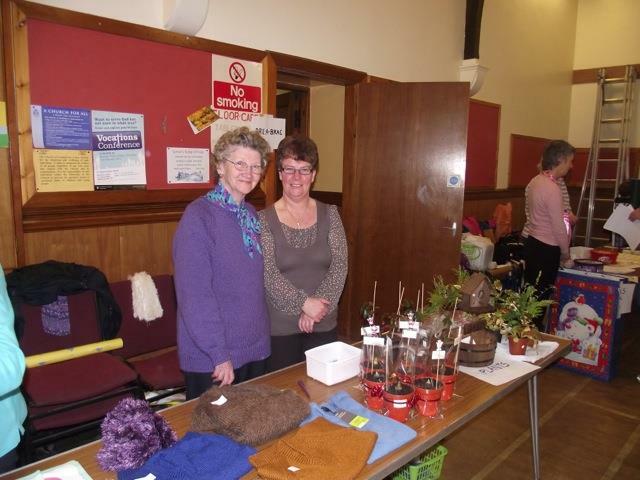 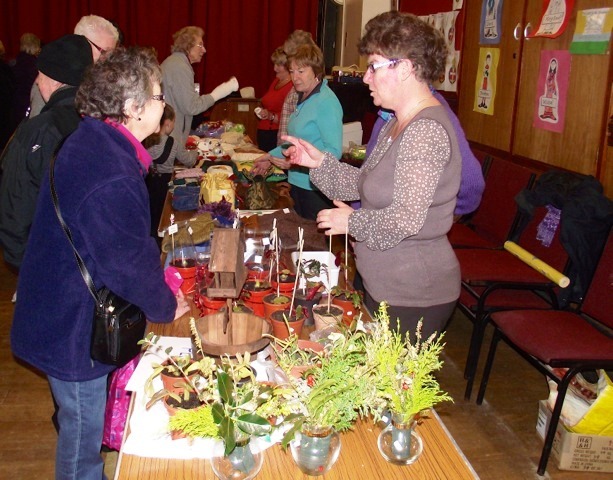 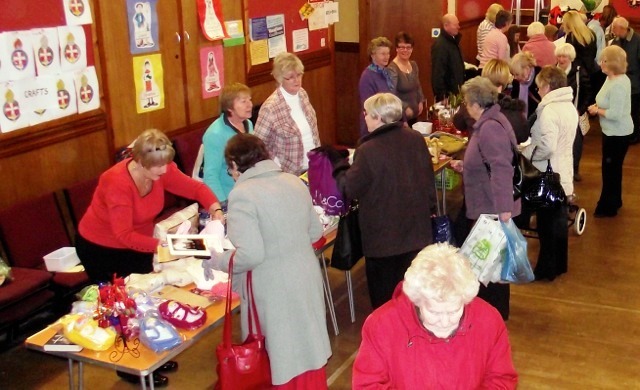 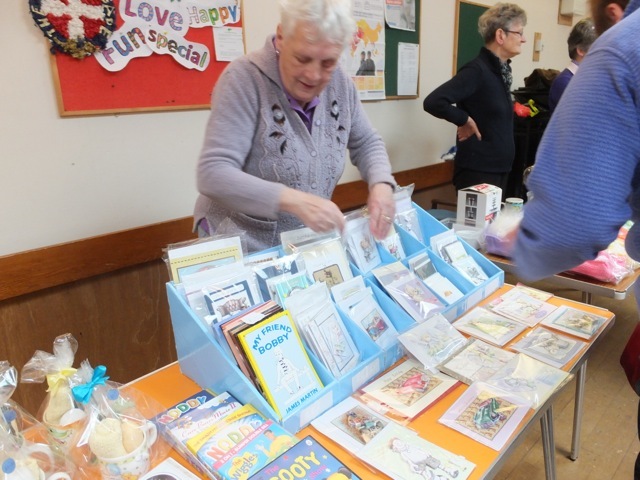 The usual stalls were there including bric a brac, home baking, crafts, and books. 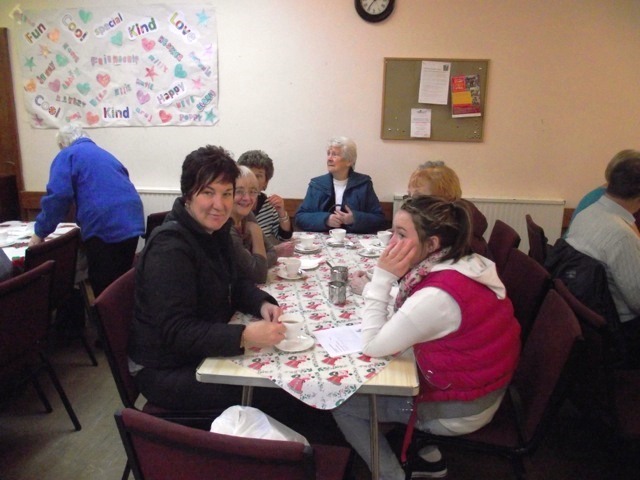 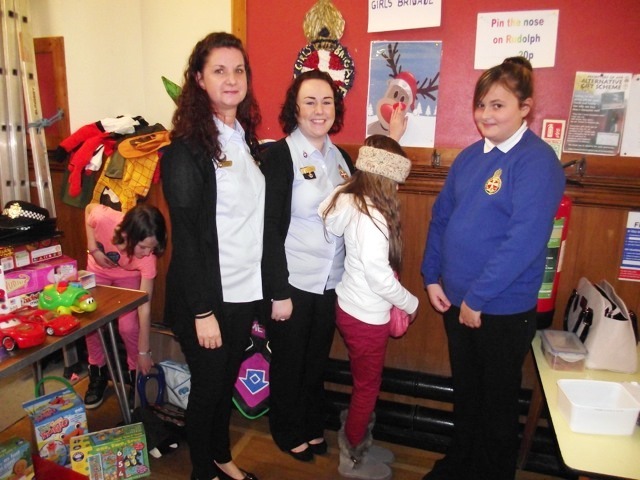 The Girls Brigade were there helping to serve teas and they had a "pin the nose on Rudolph" stall to raise funds. 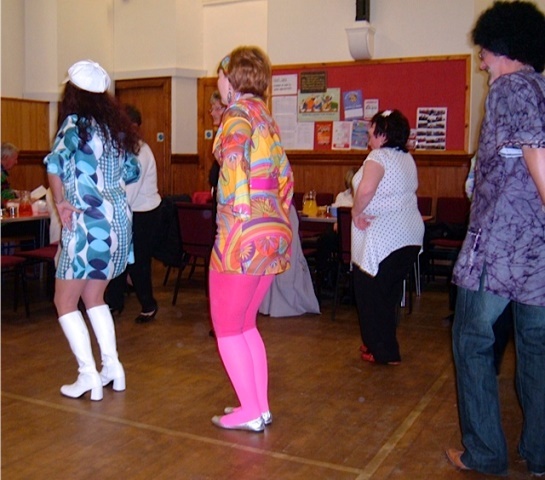 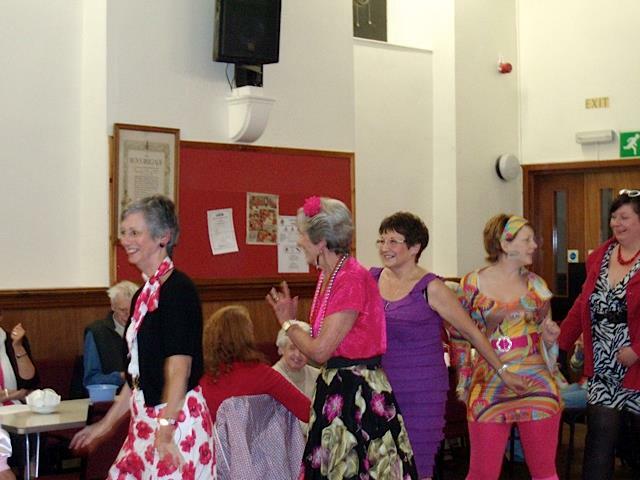 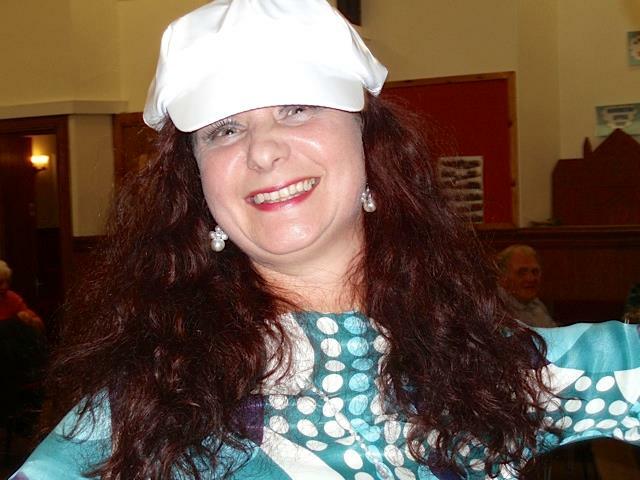 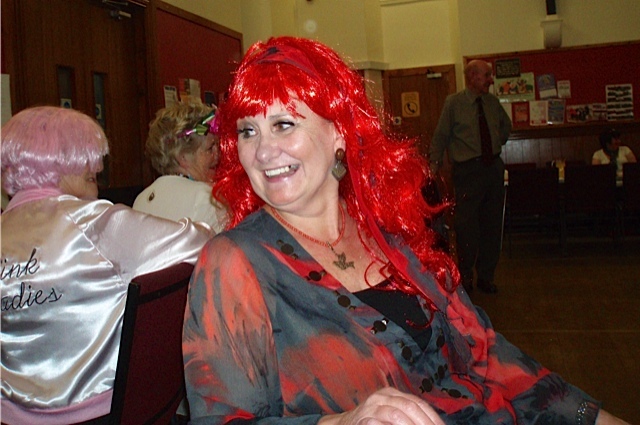 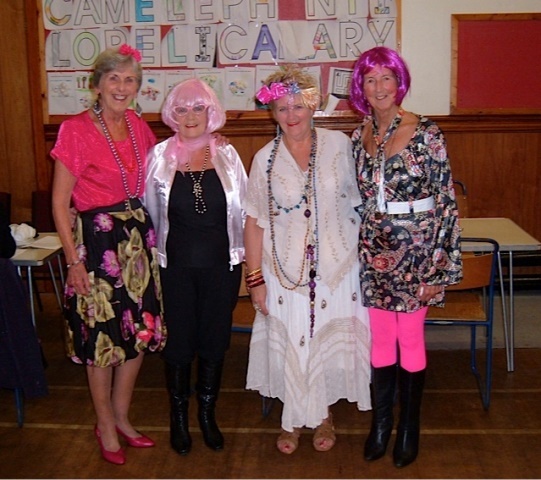 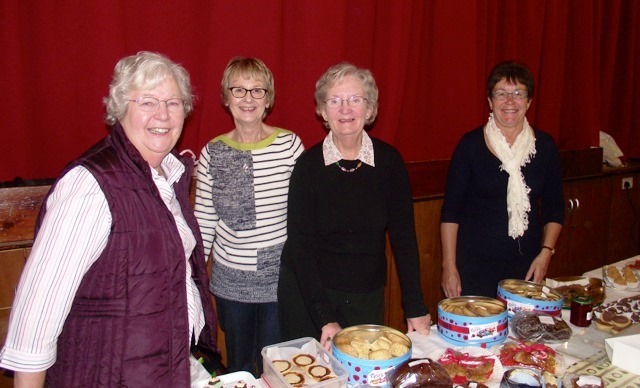 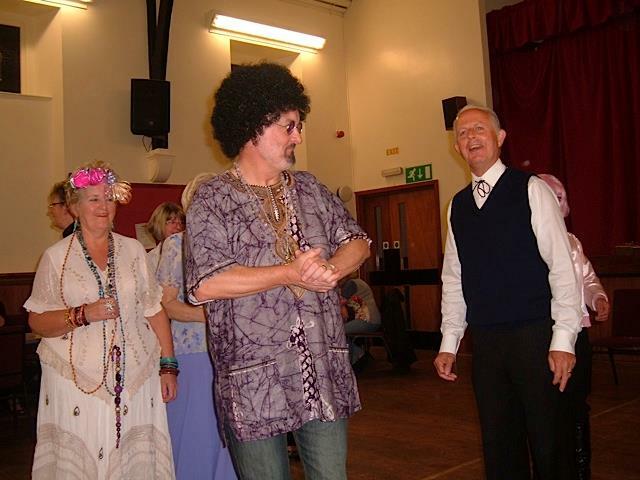 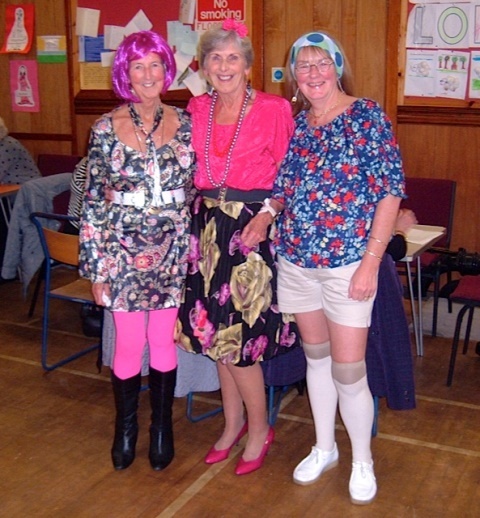 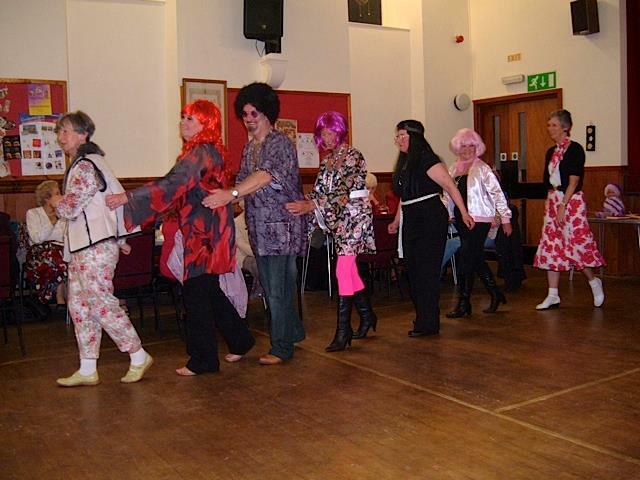 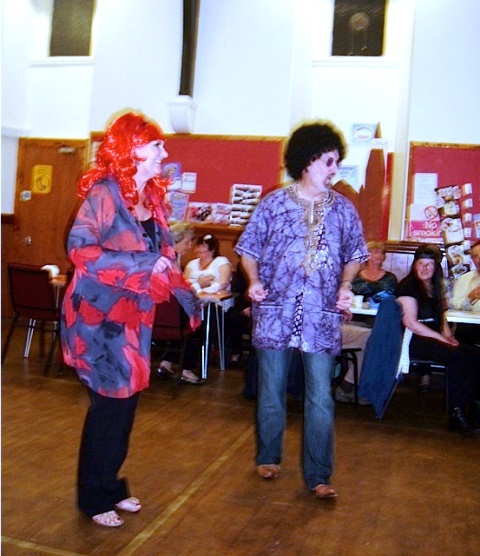 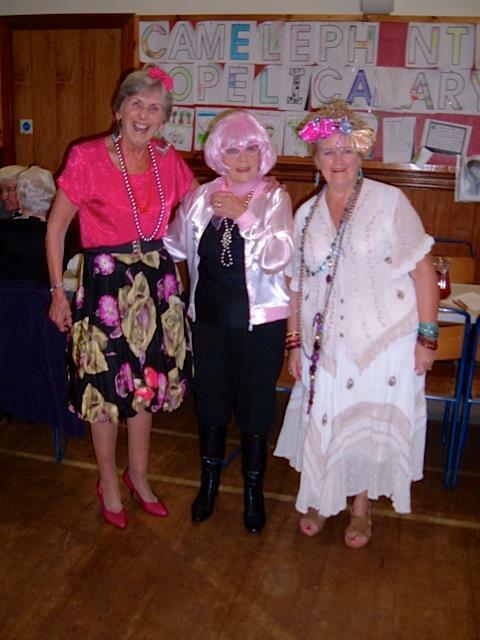 The Swinging sixties fundraiser was well attended, and raised £415 for the renovation fund. 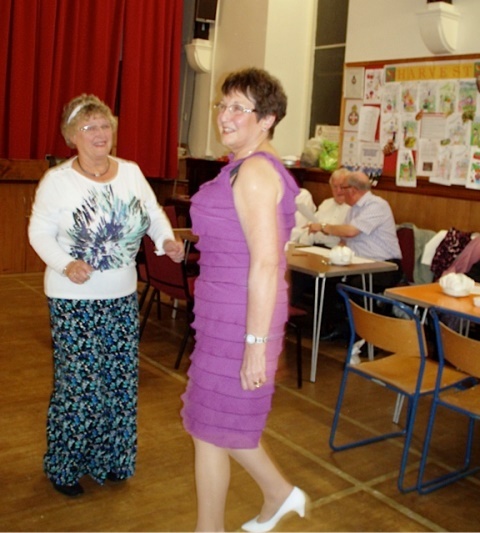 Seventy attended and had a great night and a delicious supper. 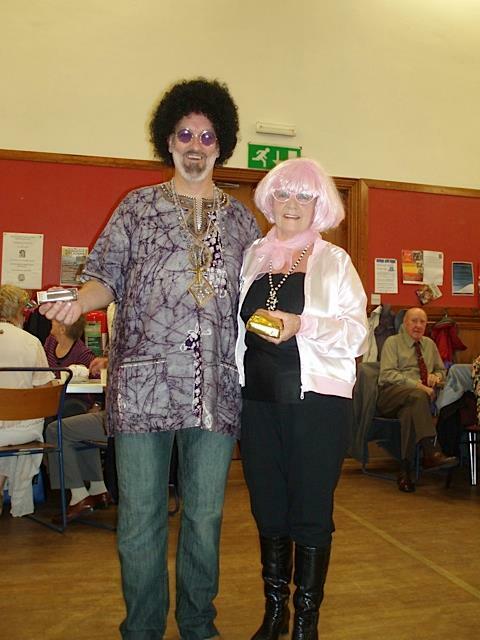 Most of the people dressed up (including Rev Richard and Margie) and this added greatly to the fun and the atmosphere. 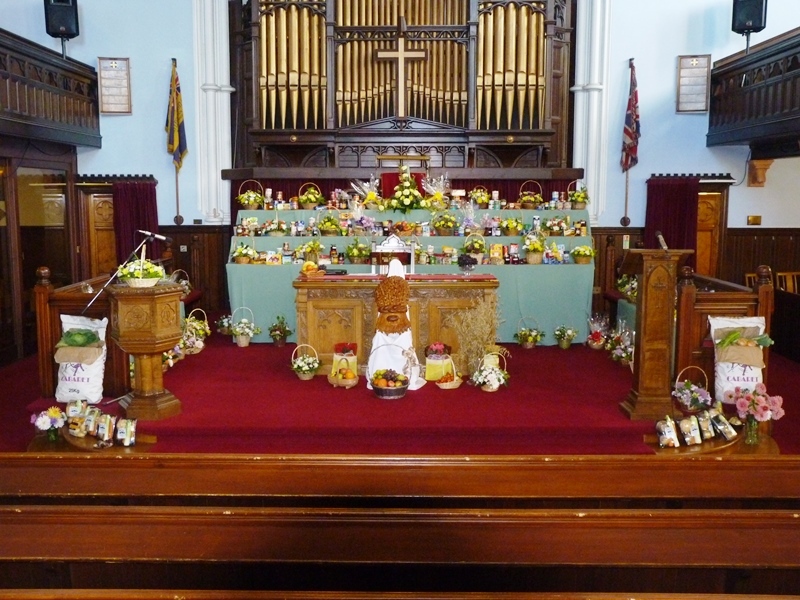 Harvest Thanksgiving took place on Sunday 29th September. 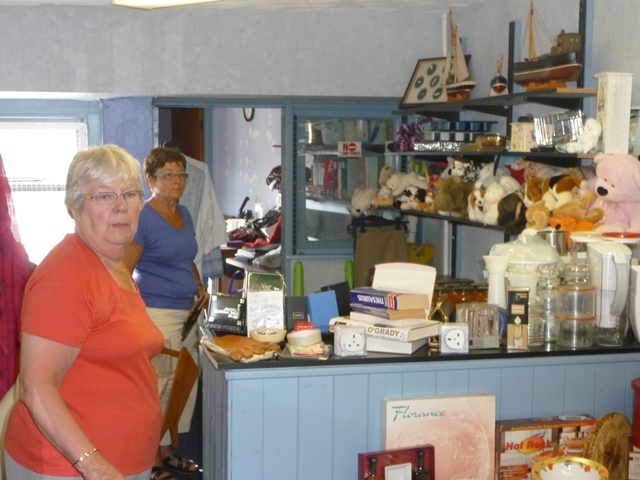 Opened from Monday 15th July to Saturday 27th July. 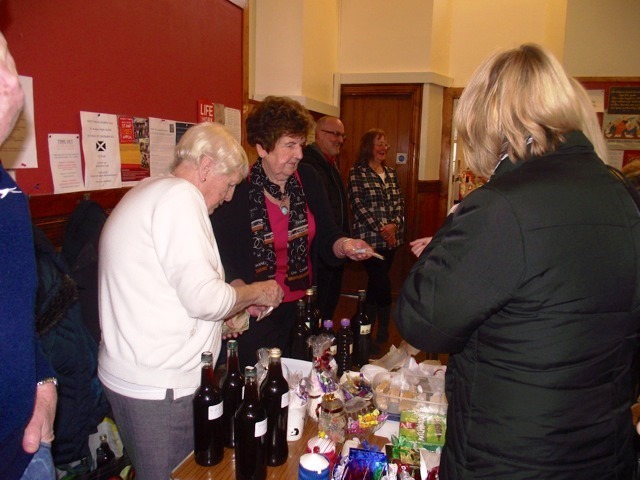 The total amount raised during the two weeks was £1705.20. 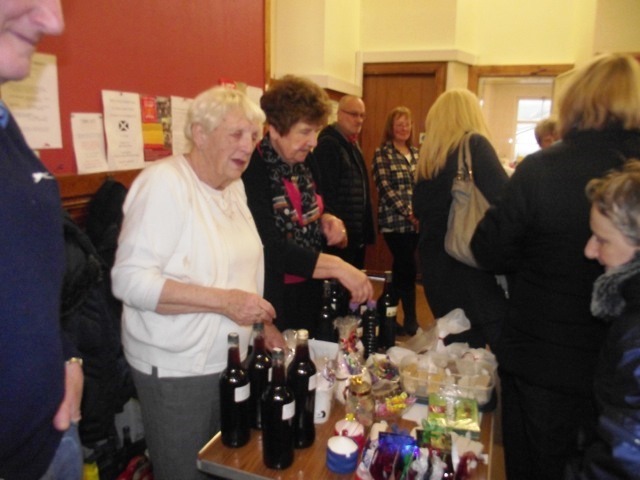 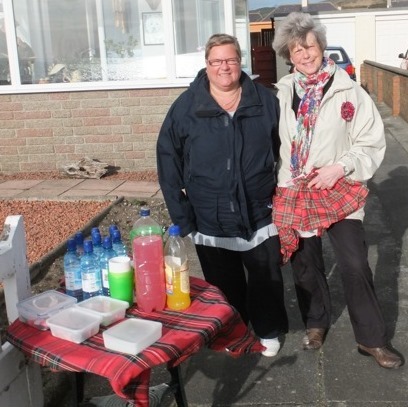 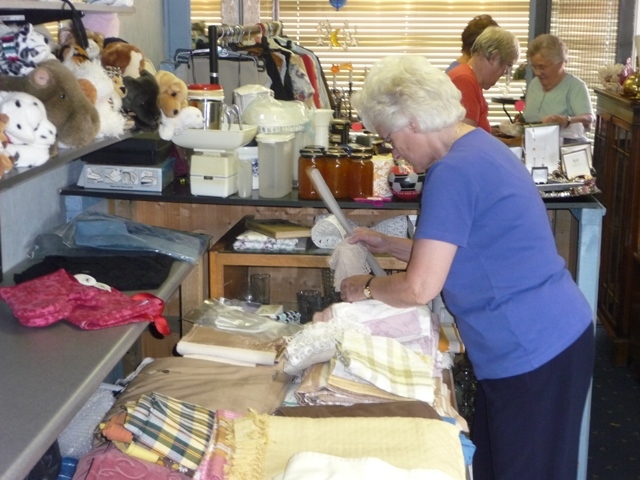 A big thank you to everyone who donated items to sell and special thanks to the organisers, Sandra Smith and Agnes Gibson, and to all the people who gave of their time to work in the shop. 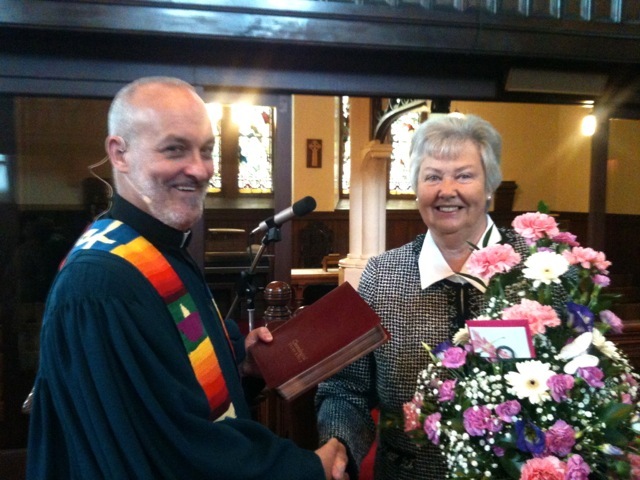 At the Communion Service on Sunday morning, Rev Richard Moffat presented a beautiful inscribed chronological bible to Mrs Margaret Benson along with a lovely arrangement of flowers. 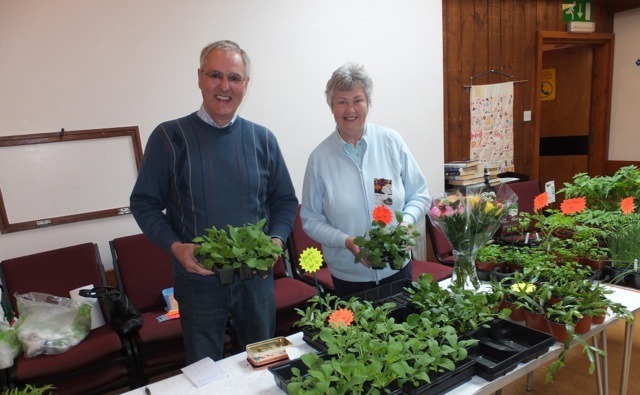 Margaret is retiring as Clerk to the Congregational Board and was warmly thanked by Richard for her 14 years of dedicated service. 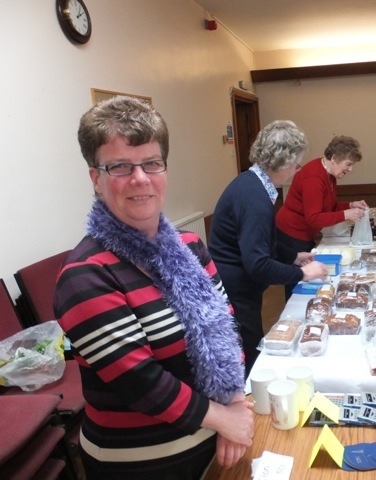 Margaret is continuing as Clerk to the Renovation Committee and as contact person for the church website. 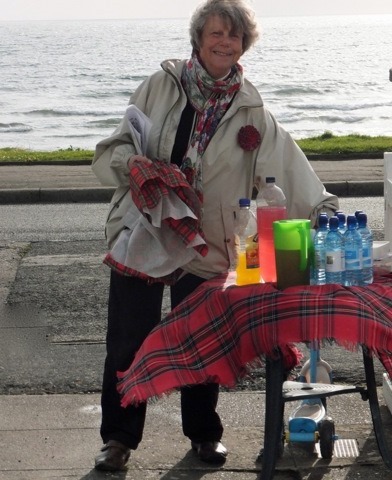 In reply Margaret said her work as Clerk had been a privilege and a joy. 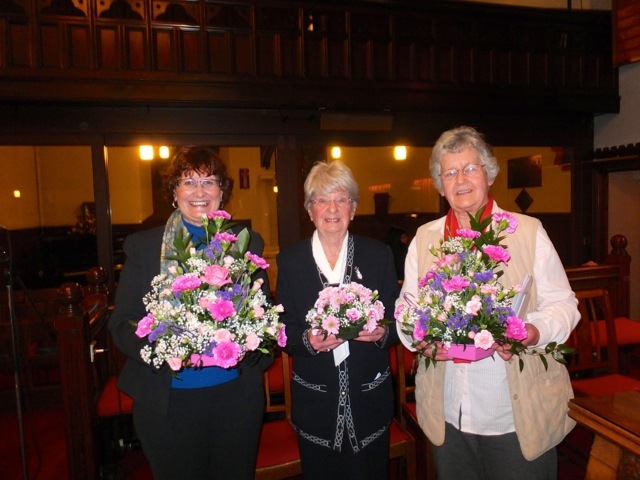 Girvan North was blessed with dedicated office bearers and she thanked them all , past and present for the support, friendship,fellowship. 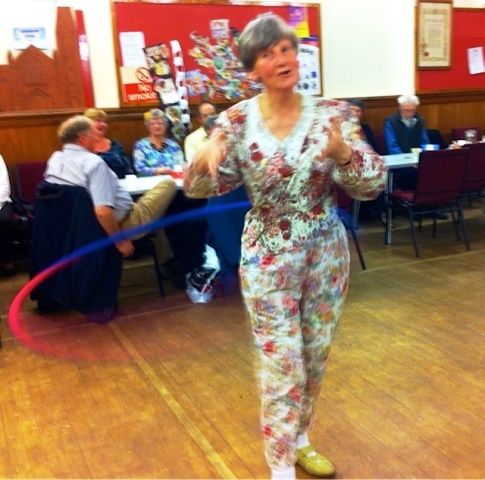 and fun she had enjoyed. 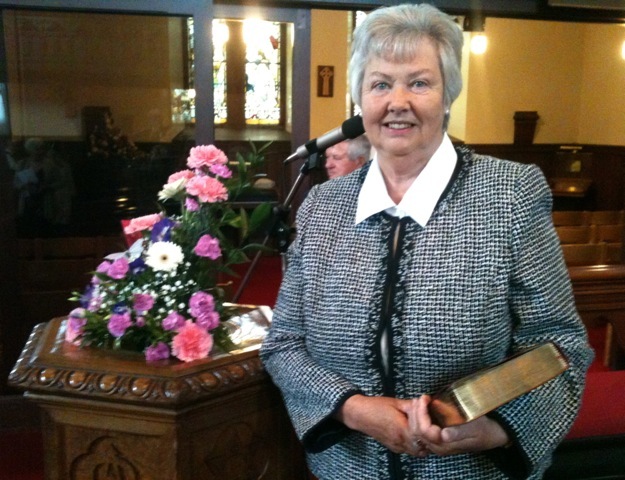 Margaret also thanked Jennifer Ramsay for taking on the clerk's position and wished her every success. 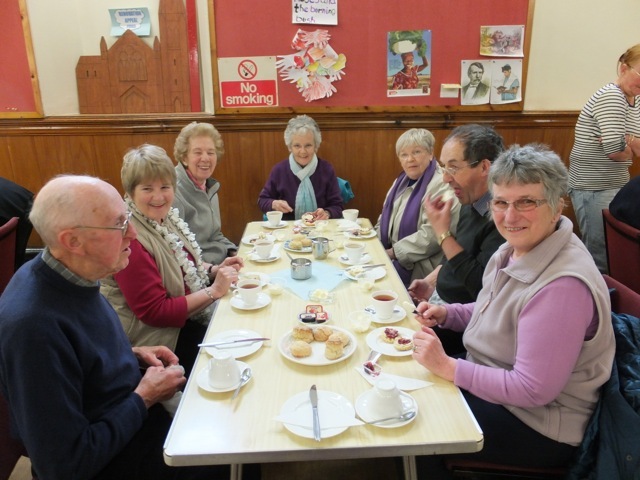 A Faith Meeting was held in the Church on Saturday 22nd June 2013 the main purpose of which was to hear the Rev Dr Ed Millin speak. 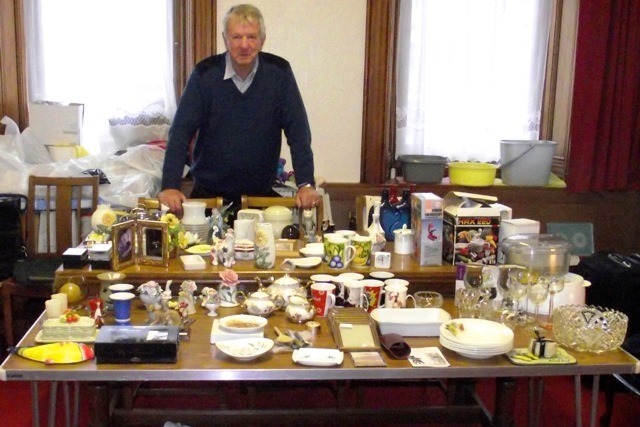 Ed, from British Columbia, Canada, an old friend and fellow minister of Rev. 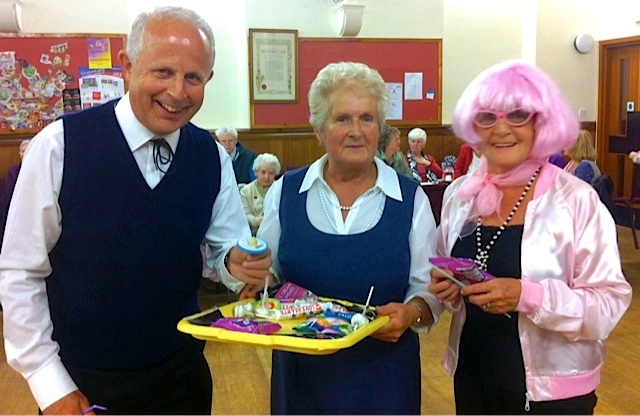 Richard Moffat was spending a few days in Girvan as a guest of Richard & Margie. 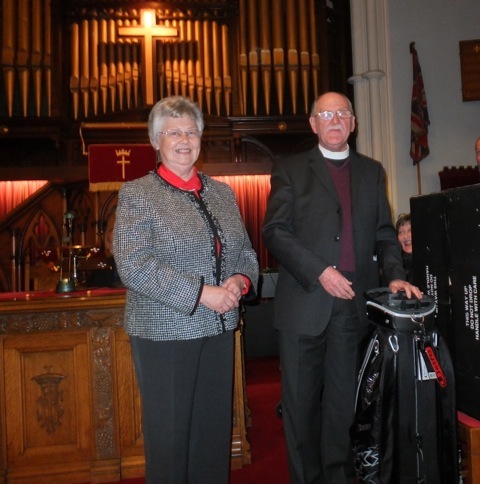 Also taking part were the Colmonell Church Faith Group who opened the meeting with a series of Songs of Faith. 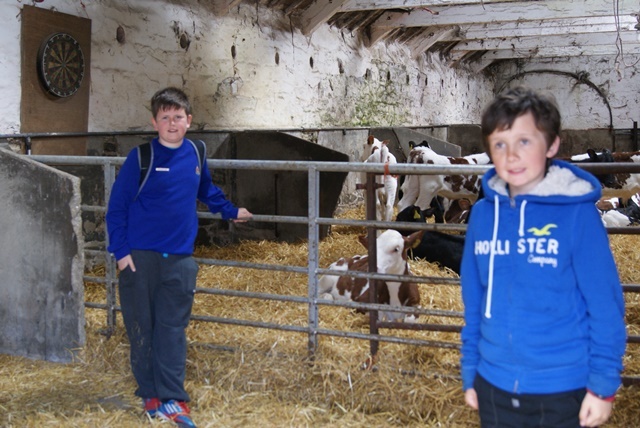 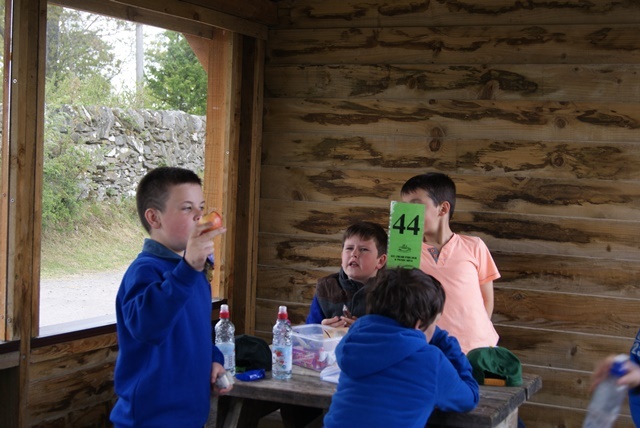 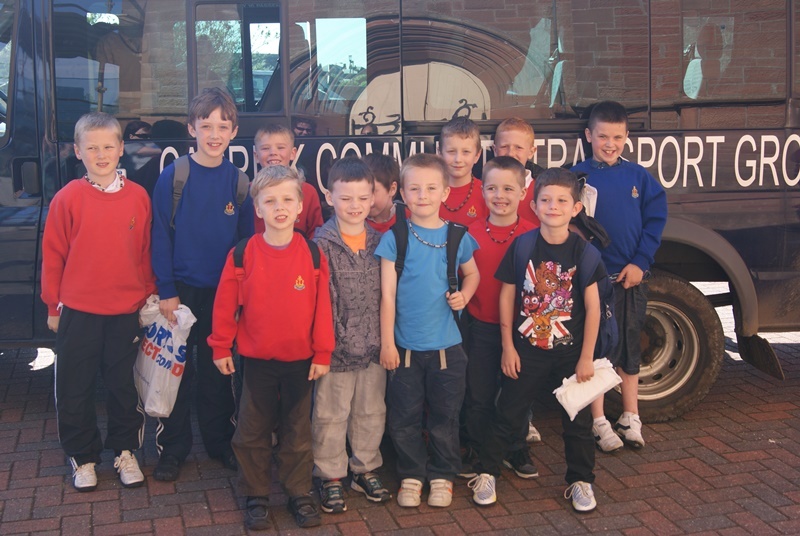 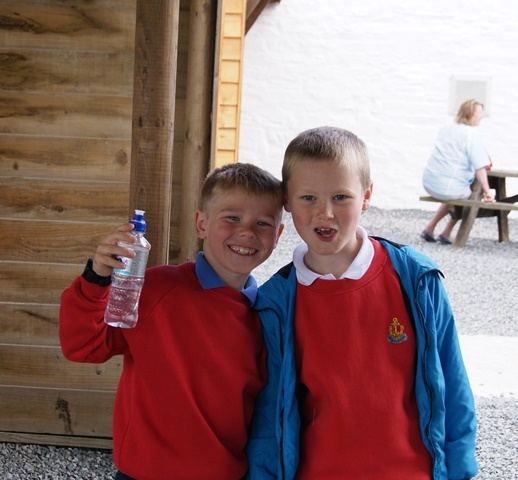 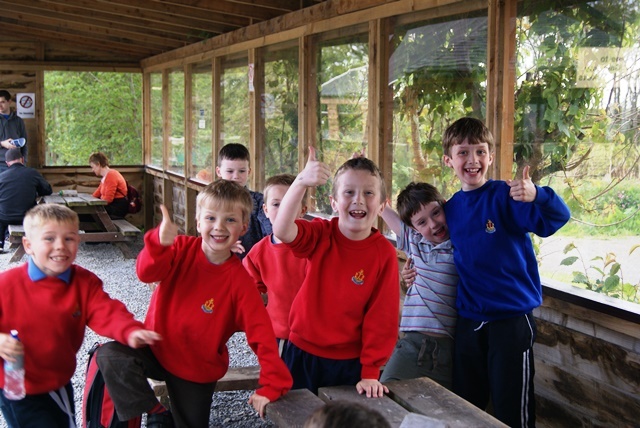 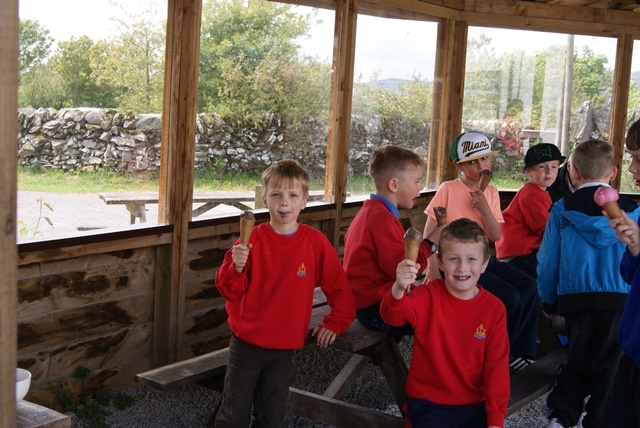 The summer outing of 1st Girvan Boys Brigade was on Saturday 1st June to Cream Of Galloway Visitor Centre, Gatehouse of Fleet. 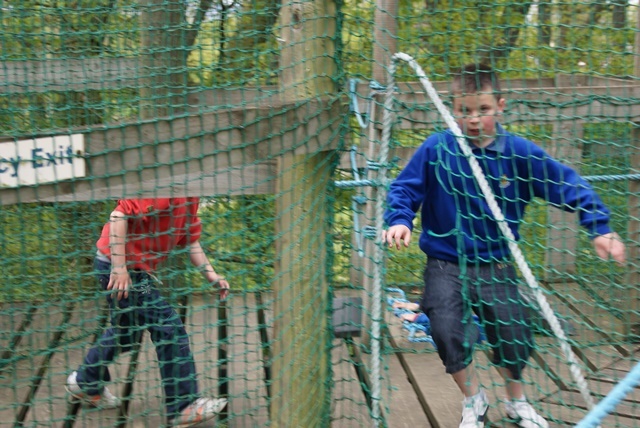 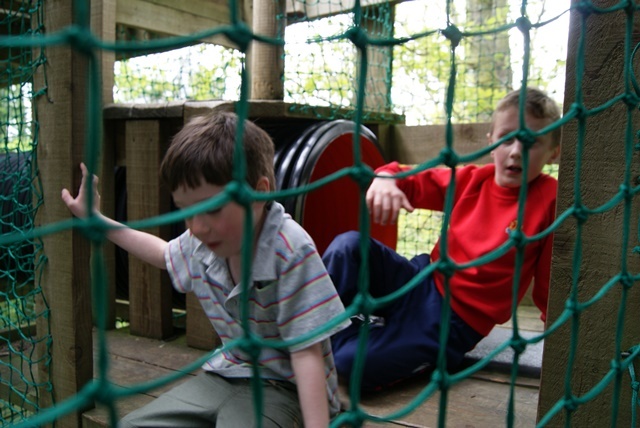 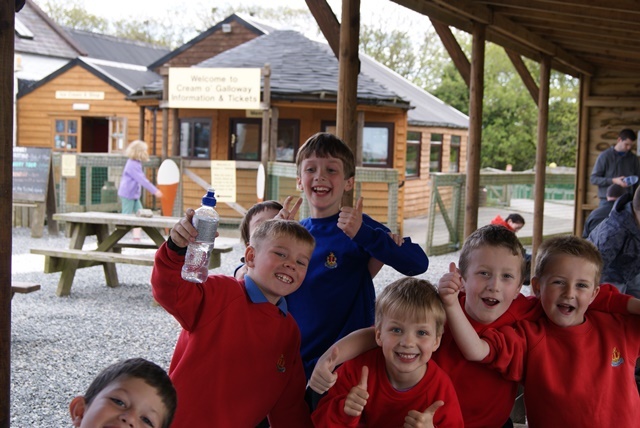 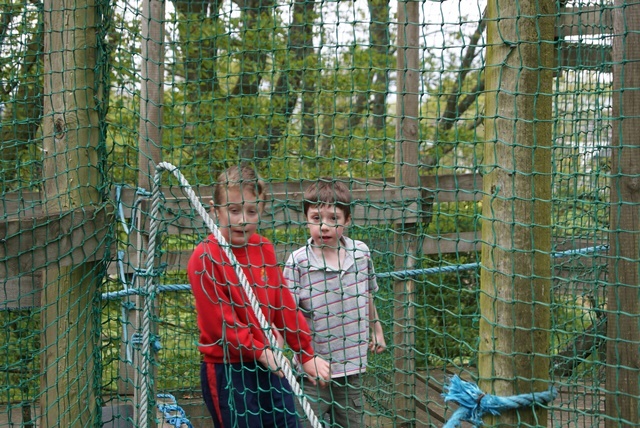 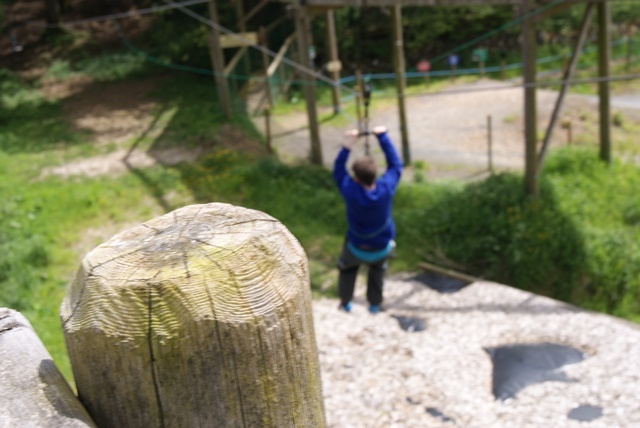 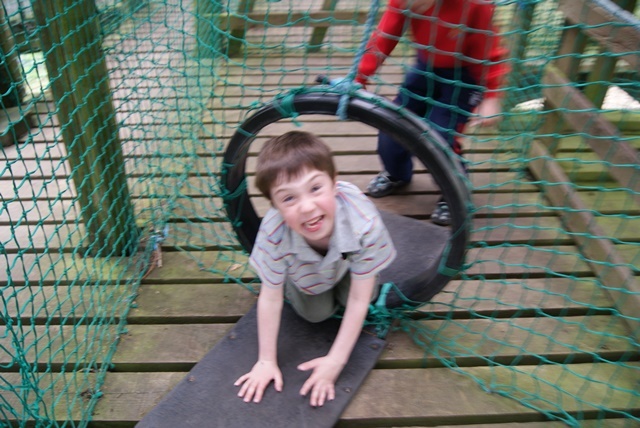 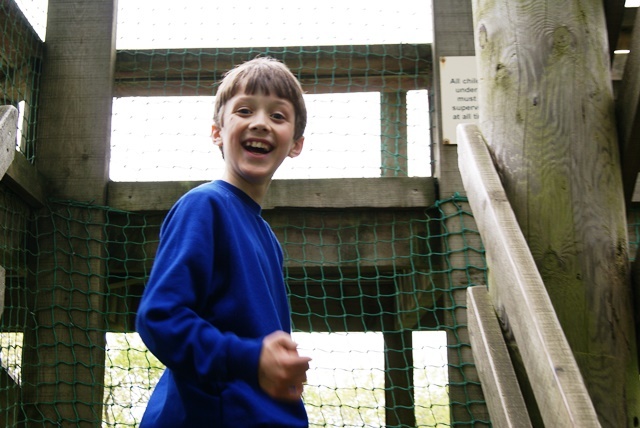 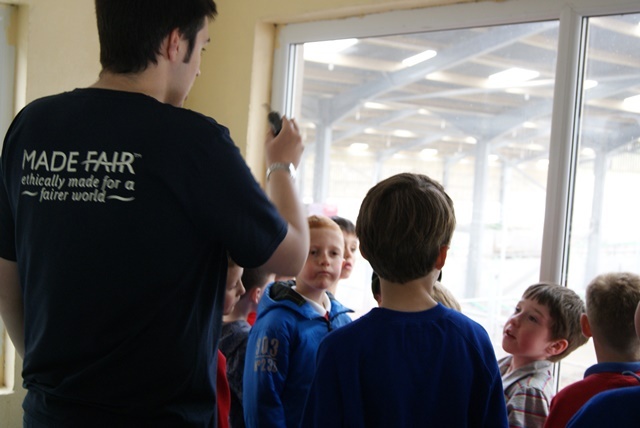 A great time was had by all on the adrenaline pumping tube slides, pedal karts and in the woodland adventure playground. 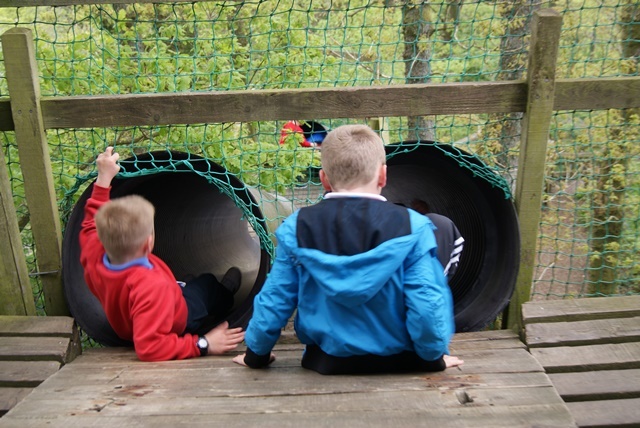 With a flying fox slide and a Cra's Nest viewing tower. 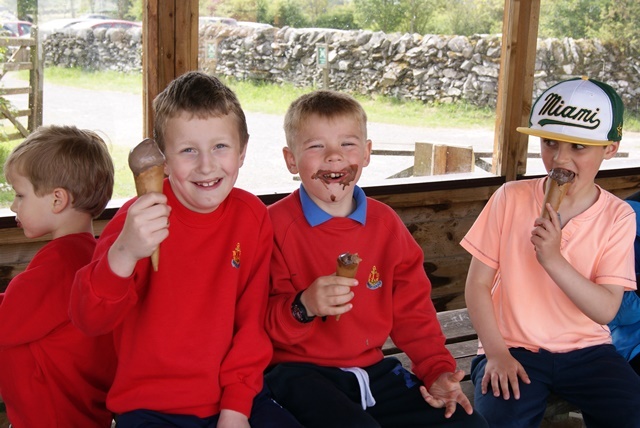 The Cream of Galloway ice cream was also very much enjoyed! 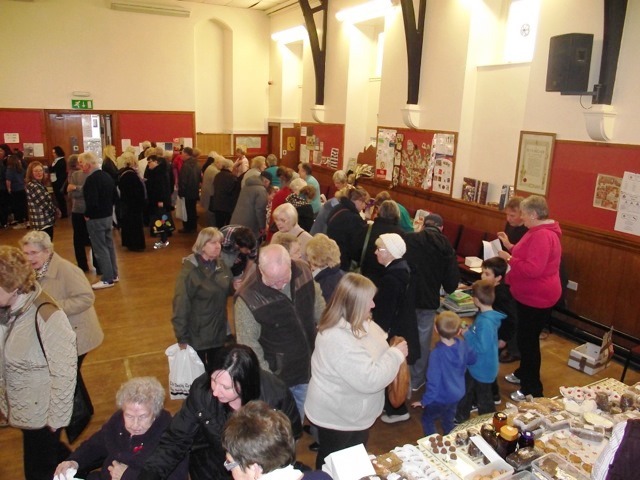 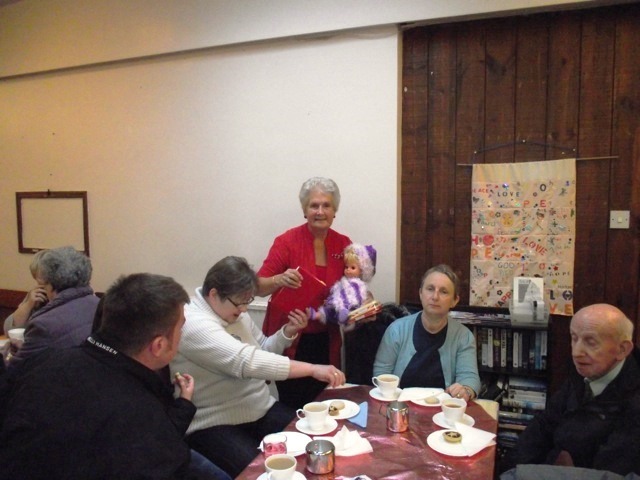 A Cream Tea Afternoon, and Plant Sale was held on Saturday 11th May. 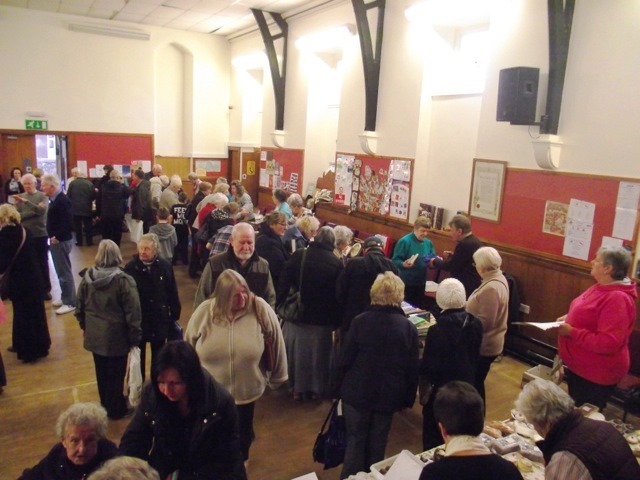 It was well attended, and raised £640 for the Renovation Fund. 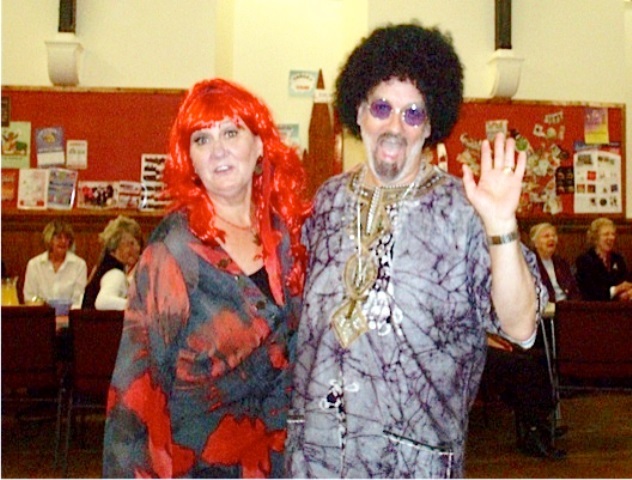 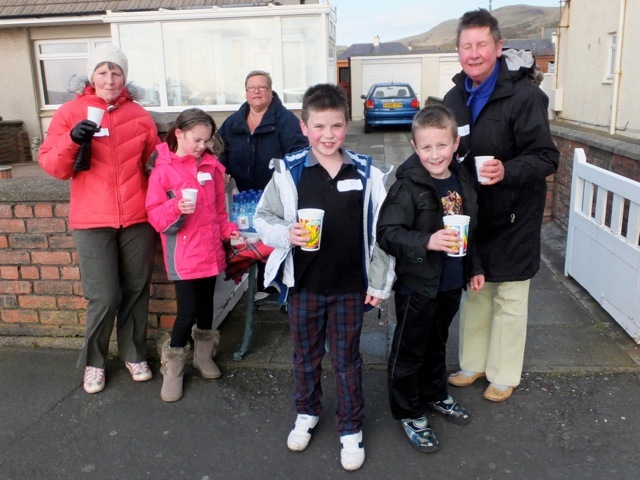 The sum raised by the sponsored walk for the Renovation fund was £635 plus Gift Aid. 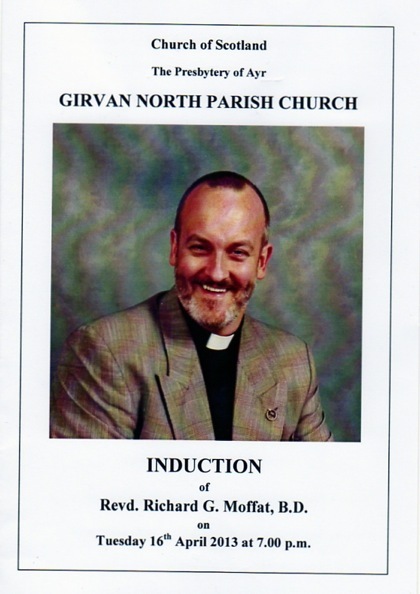 The Induction Service of Rev Richard Moffat was held on Tuesday 16th April at 7.00pm, and was conducted by the Rev. 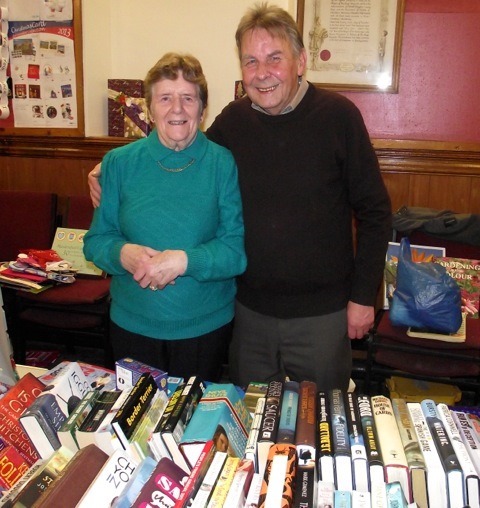 John C. Matthews, MA BD OBE, the Minister Emeritus, of Ruchill Kelvinside, Glasgow, now retired to Troon. 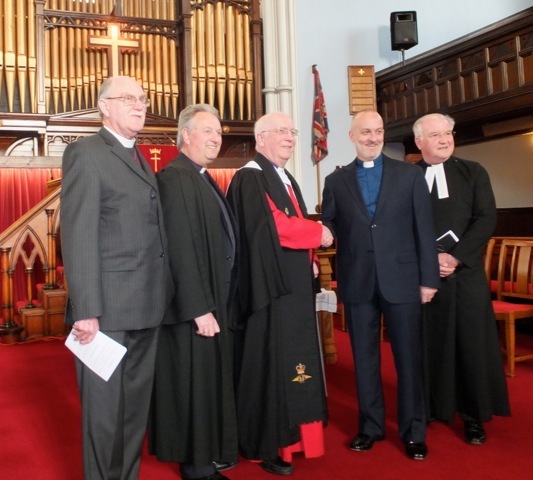 The Charges were given by the Moderator of the Presbytery, the Rev. 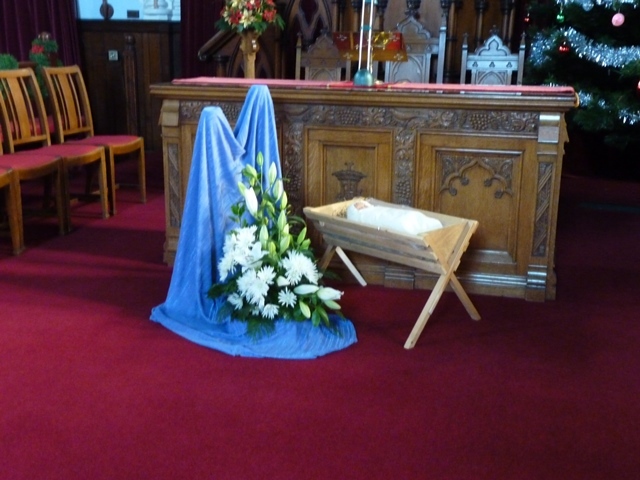 Alastair Symington, formally of Troon Old, and a chaplain to the Queen. 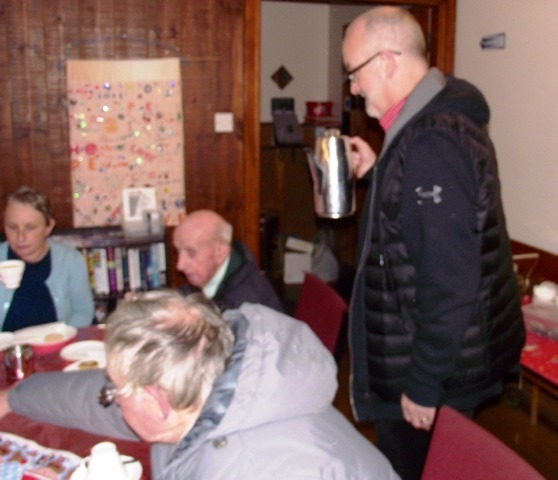 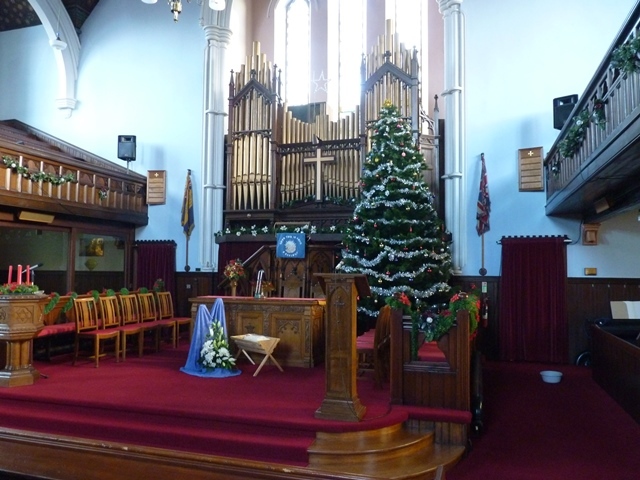 The service was followed by a Tea and a Social where Jim Guthrie handed over to the new minister. 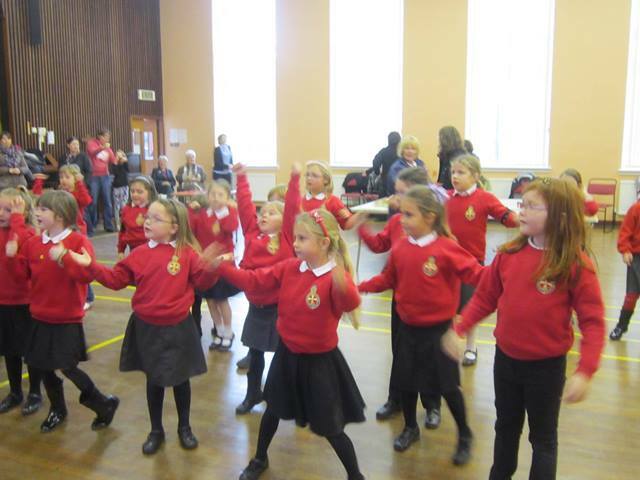 On Tuesday 29th January, the Battalion Figure Marching competition was held in our church hall. 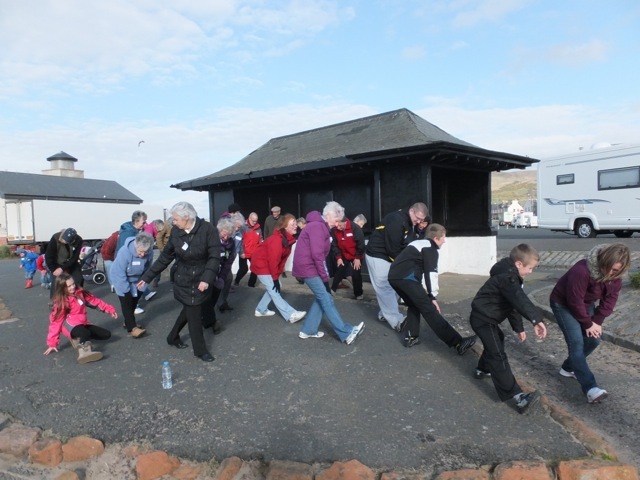 Five teams competed performing plane cross, snowball, reverse snowball, snake, diamond, and pick up a partner movements. 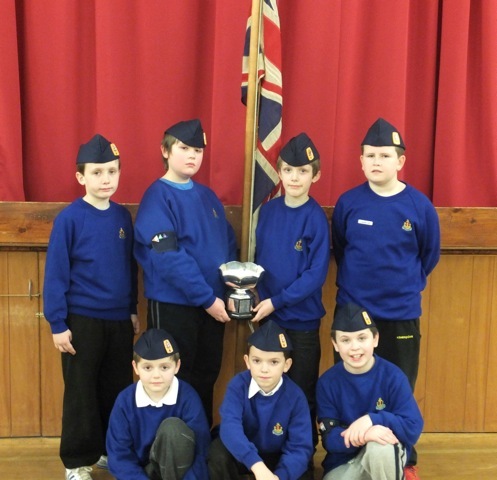 1st Girvan Junior Boys' Brigade won first place, and were presented with the Handyside Trophy. 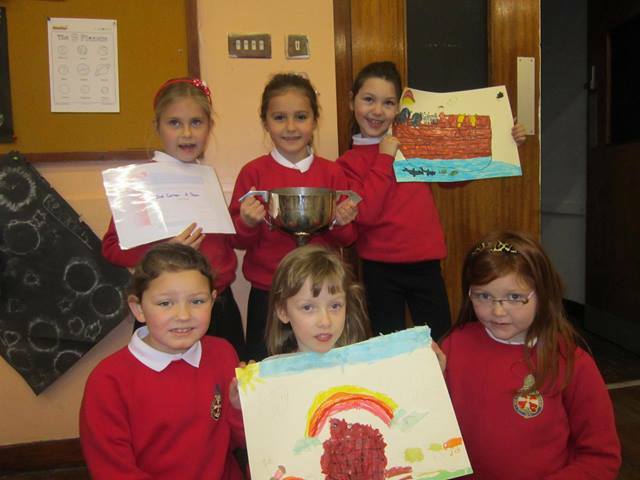 In second place was 1st Alloway, with 1st Prestwick in third.